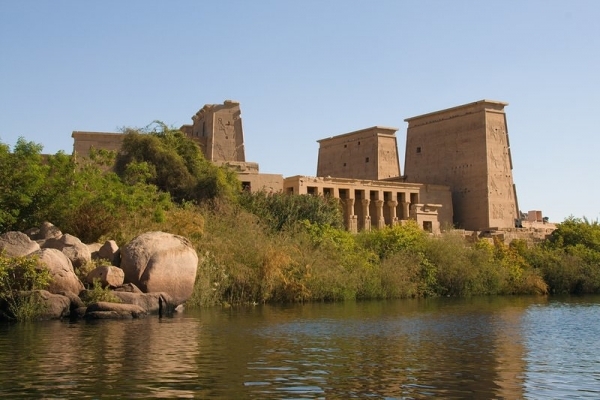 Aswan is located in the south of Egypt and is probably best known for it’s proximity to the famous temples of Abu Simbel. More or less, that’s why we made the journey this far south, so naturally we booked ourselves transportation out to see them. As Ashley’s already discussed in her post describing why we didn’t like Egypt, this tour made the esteemed list entitled “tours that did not deliver what we paid for”. 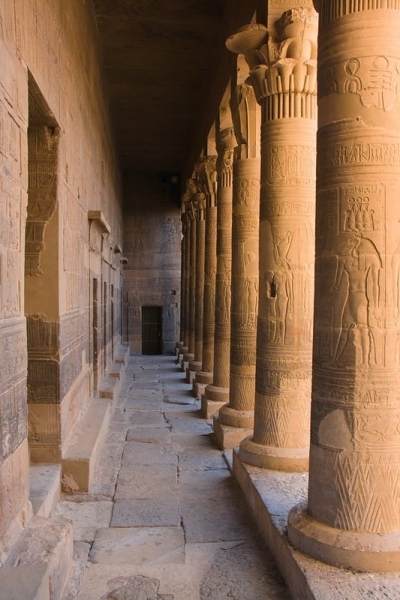 This could go without saying, as all of our tours in Egypt managed to make the list. 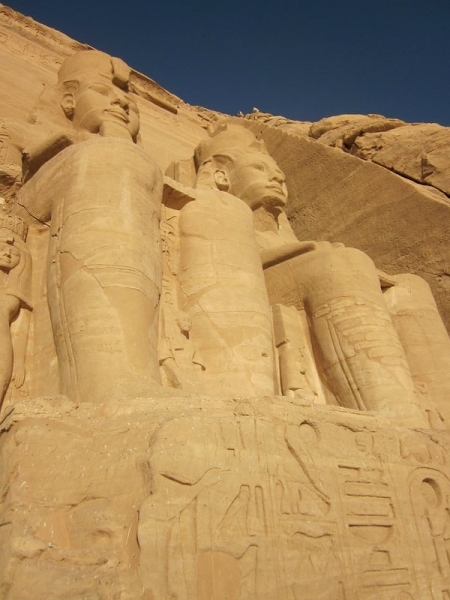 Despite the proximity, Abu Simbel is still a 3 hour mini-van ride southward towards the Sudan border. Though I have no evidence to support it, I get the impression that this isn’t the safest drive to make on your own. That impression comes from the precautions taken. 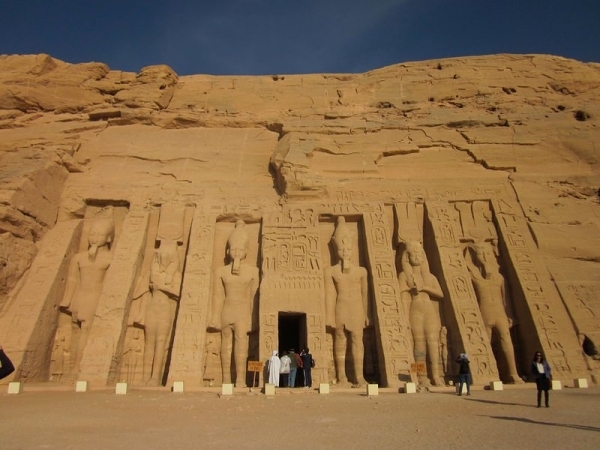 To put it simply, every tour operator providing transportation to Abu Simbel from Aswan, of which there are many, first sends their vehicles to a common meeting point in Aswan. Once everyone has arrived, an enormous caravan is formed. Probably close to 50 vans and buses hit the road at the exact same time and drive straight to Abu Simbel. The only stops made are for the multiple military checkpoints. Even then, the drivers are careful to keep the caravan together. Two hours after arriving at the exotic location of Abu Simbel, the whole caravan saddles up again and heads as a group back towards Aswan. This affair only happens one time per day. 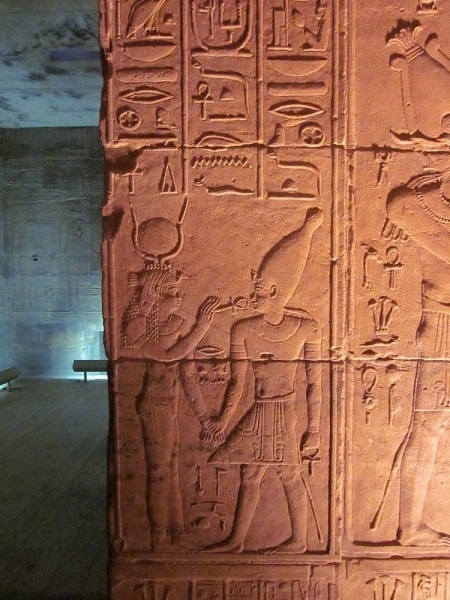 Knowing this, we felt more or less resigned to booking a tour to get to Abu Simbel. We booked a transportation-only tour for 100£ Egyptian each (Approximately $17 CAD) through our hotel. The tour was to leave from the hotel at 4:30AM, give us two hours at Abu Simbel, take us to the High Dam for 1 hour, Philae Temple for 1 hour, then the Unfinished Obelisk for 1 hour, before dropping us off back at our hotel.. Or, at least it was supposed to. I can honestly say that Abu Simbel was my absolute favourite ancient Egyptian anything that I saw in Egypt. We received the full two hours that we were promised at the site, and it was about the right amount of time. Although I only have photos taken from outside (which looks impressive in itself), the inside was really what made it so amazing. No cameras are permitted inside the temple in an effort to protect the colouring on the walls. There are two temple complexes here, both of which you can wander around inside freely. 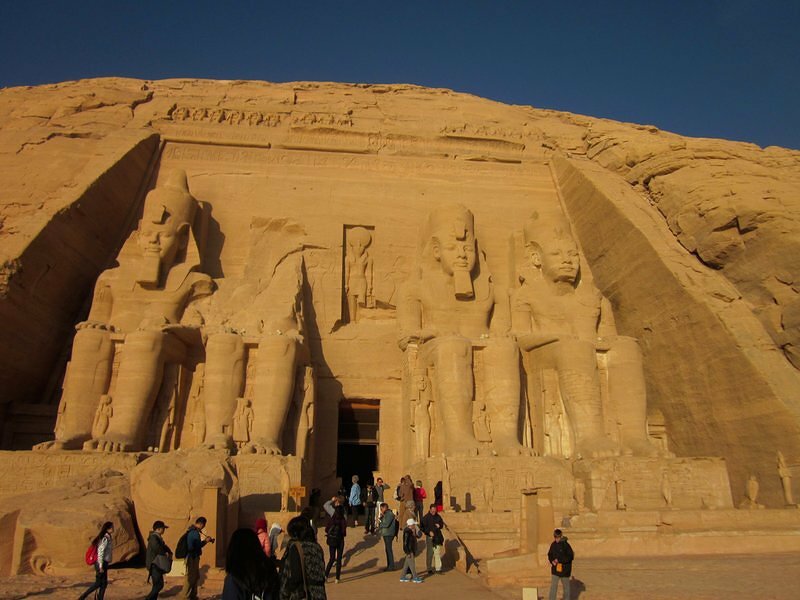 Despite the fact that everyone visiting Abu Simbel arrives and leaves at the exact same time, the temples were large enough that they never really felt that crowded. The inside walls are adorned with coloured hieroglyphs depicting various scenes from wars to warship (hmm, alphabetically, that’s actually a fairly small range, but it seemed diverse…). The columns are carved to resemble human figures, and everything is in a really exceptional state of preservation. Another thing making Abu Simbel appear even more impressive is the fact that it has been moved from its original location. Before the Nile was dammed, and Lake Nasser was flooded, the temple used to lie lower in the valley. 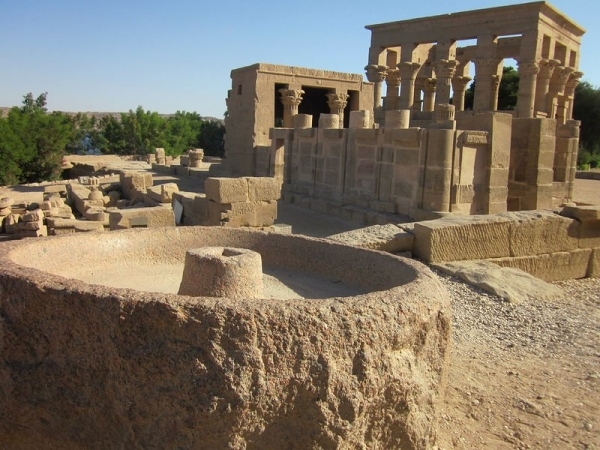 Wanting to preserve this fantastic historical site from flooding and destruction, the international community came to the rescue and helped orchestrate the careful dissection, transportation, and re-assembly of the temple in its current location. The process was exceedingly manual. About 10,000 individual blocks were cut using handsaws. Each block was identified, measured, transported, and re-assembled after a series of painstakingly accurate measurements. The end result is that we couldn’t tell that the thing had ever been moved. It was reassembled perfectly, or near enough as to not matter. Back at Aswan, the tour continued with a 10 minute view of the High Dam. As already explained, we opted not to see it. This temple was also impressive, though not quite as impressive as Abu Simbel. Again, it was not in its original position. It was moved onto the island where it resides today to protect it from higher water levels. This island location left us thoroughly frustrated between the time we purchased entry tickets (boat not included) for 50£ per person and managed to get a private boat captain to take us over to the island for another 10£ (a total of about $10 CAD each). Although officially a part of the transportation tour, it was not part of the tour. Neither was the ride back to out hotel, but that’s just the way things go in Egypt. wow…since we were at Abu Simbel in 2008 they must have changed the rules as we took many pictures within the temple. We, too, thought the site was absolutely incredible and, almost more amazing, is that it was moved! The story we got, was that the Russians couldn’t figure out how to take photos with the turned flash off. I’m sure they tell the Russians that the Americans couldn’t figure it out, but that’s besides the point. Because there were so many tourists taking flash photography, the flashes were damaging the colour in the dyes. Eventually, they decided that the only way to keep people from using a flash would be to ban cameras entirely. So that’s what they did.